It seems like the vast majority of companies are using some kind of social media in some capacity, whether its promoting new products or services, making connections with other professionals, or simply gathering data to learn more about their customers or network. The limitless amounts of information that can be garnered from these sites can be quite useful, but only if companies can find a way to decipher the huge pool of data and turn it into usable conclusions. DataSift, an online platform that manages social data, has just introduced some new tools that can help companies more easily decipher social data and incorporate it into existing business and development platforms. The changes include the option to receive small bursts of data instead of a constant stream, the ability for non-technical managers to perform complex searches, and other features that aim to make the service easier to manage. 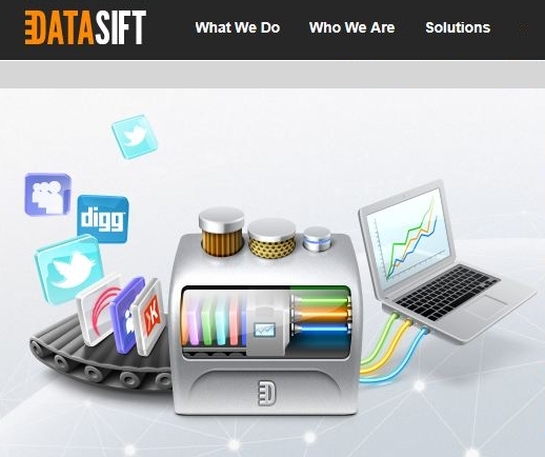 DataSift is used by companies to wade through the large amounts of social data from sites like Twitter, Facebook, YouTube, and various blogs and forums, finding relevant demographics data, interactions, online influence, and more. Companies can apply complex filters, allowing DataSift to search through all the data in the company’s social network, find what is relevant to the search, and then turn that unstructured data into digestible information that could be turned into real results for your company. 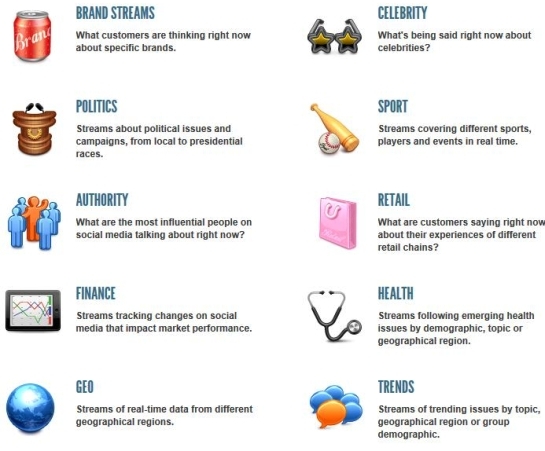 For example, users can ask DataSift to show a real-time feed of what certain consumers are saying about a brand, what the most influential people in a network are posting about, or data from a specific geographical region. For companies that use social media, the large amount of data that can be garnered from network connections and their posts can seem overwhelming. Finding data is one thing, but figuring out what is relevant and what it actually means for your company or brand may require some help. There are plenty of companies and online tools that claim to help brands sift through social data, but DataSift is unique because of its natural language processing and complex search abilities. The service has a number of different monthly plans and pricing to choose from, depending on your company’s needs. There is also a pay-as-you-go option and a free trial version.